In the workplace, at school, and in our relationships, the effects of stress can be devastating. Too much stress can cause real physical illness. 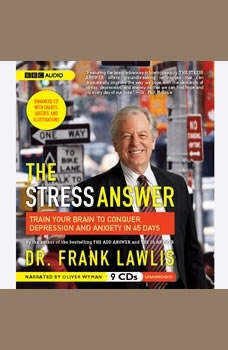 Using the latest research on neuroplasticity, Dr. Lawlis redefines stress and shows readers how they can retrain their brain to prevent stress from taking its toll. This clear and practical guide includes action plans and recommendations for specific foods, physical exercises, and mental relaxation techniques to train your brain to combat stress.